Shopping for school clothes can take a bite out of your pocket book if you’re not careful. For many parents, the very mention of the words ‘shopping for school clothes’ can bring on a headache. Buying new school shoes, backpacks, clothes and all the other necessities needed to dress your child for school can be overwhelming and expensive. The good news is, you can get your children dressed and ready to go back to school without going into debt, while still keeping your kids happy. I’ve laid out my 5 best tips for you to stay within your budget when it comes to back to school shopping. Don’t even think about shopping for school clothes until you’ve discovered what’s already in your child’s closet. This is something many parents don’t do when it comes to school shopping but if you assess what your child has that is school ready you can reuse, recycle and save money. Dig into your child’s closet first before you even think about shopping. Get everything out of that closet and start sorting. You’ll be surprised at the good stuff you forgot they even had that’s been buried in the back of the closet and stuffed into dresser drawers. Sort through every piece of clothing, remove anything that doesn’t fit, and set everything else aside. Now you have an idea of what clothing your child already has. Get it all washed, folded and hung in the closet. Now that you know what your child has you can move to the next step. Now that you know what your child has for clothing, it’s time to think about what is needed. One of the biggest mistakes people make about school shopping is not setting a budget. So, before you let your child get too excited about a whole new wardrobe, you’ll need to create a budget. Living within your means is one of the most important responsibilities you can teach your child. Remind your child that an expensive pair of designer jeans may mean that she only gets one new pair or instead of those fabulous shoes she was eyeing she may have to get a not so fantastic pair. There are trade offs that need to be made. 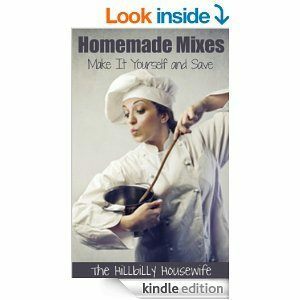 There are choices to be made that fit within the budget and once the money is gone, the shopping is over. This is a tough lesson, but one that needs to be learned before you go on. Now that you’ve discussed what the budget is, it’s time to learn how to work within the budget AND get the most out of the the dollars you spend. Start by laying out what is already in the closet. Look through what you have and see how you can mix and match. Toss in some earrings, bracelets and other accessories. Move tops and bottoms around until you have a variety of basics that would benefit from some new pieces. This is where you want to start building your list. Jot down what you have and don’t have, such as what bottoms are unmatched with tops, and vice versa. Be sure to check underclothes and socks too. The idea is to get down on paper what you are shopping for before you get into the store and are swayed by impulse buying. It’s not as much fun I know, but shopping online can save you money and time. It may be hard to do all your back to school clothes shopping online, but doing whatever you can often benefits both you and your child. Shopping online for clothes can be done in comfort and slowly without pressure. Of course, you can’t try the items on so be sure to check the return policies on the websites. This way if it doesn’t fit properly you will be sure you can exchange it for the correct size. Also, be sure to give yourself enough time before school starts to get the exhanges done, if needed. Of course, you can get underwear, socks, backpacks and all sorts of accessories online without too much worry as to whether the stuff will fit. If time is money, then shopping at home on your computer is pure gold. Don’t discount this method as a real bonus. As the seasons change the clothing that hasn’t been sold will get discounted for the new seasons items. This is great for budget shoppers because you could get deeply discounted merchandise that you can use the following season. Watch for cold weather gear like sweaters, gloves, coats, scarves, boots and hats when winter ends the year before. You’ll need them before you know it! Buy way ahead of time and you’ll find great savings on close-outs in the clothing departments. Depending on your child’s age, don’t buy too far ahead because you don’t want any growth spurts to ruin your plan. A winter coat, one size bigger, bought in March for the following winter, at 75% off an already discounted price just makes sense. Starting a new year of school can punch a big hole in your family’s budget. 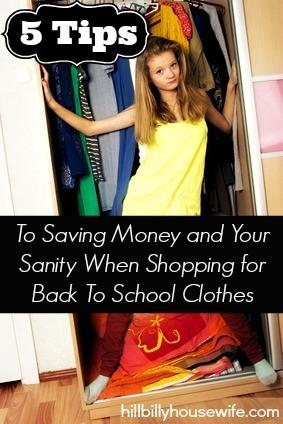 But, these few tips will help you survive the shopping stress and will save your pocketbook as well as your sanity!